Whether traveling, by a pool, or participating in outdoor activities, this new fashionable theft deterrent offers safety for essential valuables. Convenient size, easy to use, and lightweight - large enough to fit the necessary valuables, but small enough to go unnoticed. What valuables? Smart phones, wallets, sunglasses, keys, cameras, jewelry, and more. How does it work? Simply attach the 6mm PVC coated steel cable around a chaise lounge, beach umbrella, golf cart, fence, or any secure fixture. 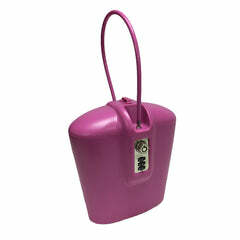 Made from high impact ABS plastic, this patented item comes in 4 different colors. The heavy-duty and rust-resistant lock contains a built-in customizable three-digit combination along with unique key access. Easy to set, easy to carry, and easy usage for all ages. Originally designed for outdoor activities, the SAFEGO has proven that its versatility and functions are limitless. Summer campers and college dorm residents have found this product to be a staple.